In South American cuisine, aji is the name for both a variety of chili peppers and a fresh salsa made with the peppers. This Colombian recipe is known as salsa de aji picante, and it features a single habanero pepper, making it pretty spicy. Beyond the pepper, the main ingredients in this vibrant salsa are tomatoes, green onions, and cilantro. It has a similar flavor to another classic Colombia salsa called hogao, though the tomatoes, onions, and peppers in hogao are cooked rather than raw. This salsa has vinegar as well, which gives it a nice tang that complements the hot pepper. Place the pepper in a food processor or blender with the water, vinegar, lime juice, salt, and sugar. Process until smooth. In a large bowl, combine the chopped tomatoes, chopped onion, green onions, and cilantro. Toss with the pepper liquid and olive oil, mixing well. Taste for seasoning and add more salt, sugar, or black pepper as needed. Store salsa in a covered container in the refrigerator until ready to serve. Aji salsa can be as hot (picante) or as mild as you choose. The easiest way to adjust its heat is to choose a different pepper. For instance, a jalapeño will create a slightly milder salsa than the habanero. 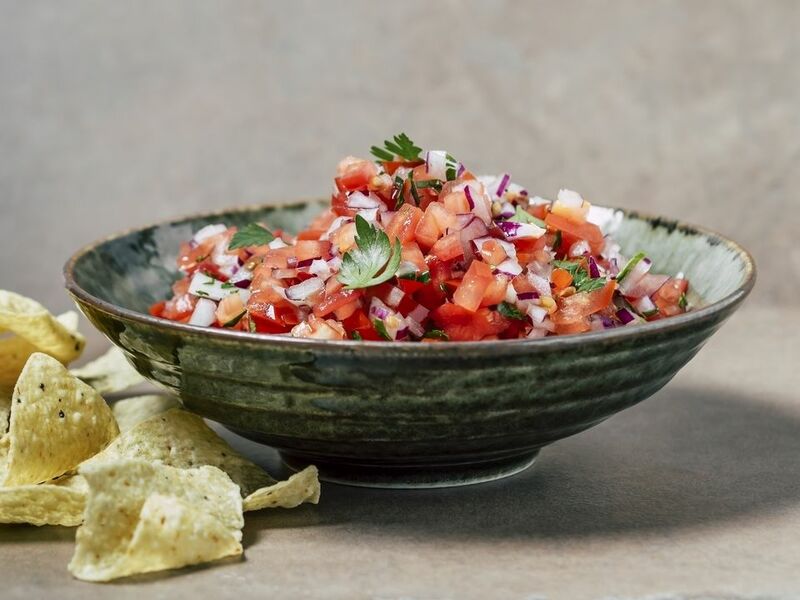 The finished salsa is a delicious complement to grilled meats and can be used to spice up any dish you would normally use salsa in. It also makes a great dipping sauce for fried plantains and the South American corn cakes known as arepas.